I am thrilled to announce that Kelly Griffin & Associates (KGA) is celebrating its 20th anniversary with Living Landscapes in Barnegat, NJ, as a client company. Although this article is more of a news item than a blog, I have to share since it isn’t often that marketing agencies can highlight a 20-year client relationship. 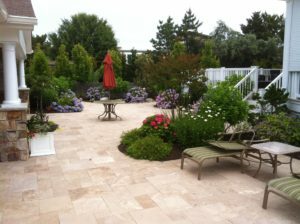 Living Landscapes is a wonderful business partner, a landscape design and construction business that made the plunge into the world of advertising and public relations in 1998. Beginning with retail advertising on the radio and in newspapers, publishing a quarterly newsletter, and eventually going online with its first website in 2011, Living Landscapes has continued an ongoing business relationship with KGA. This first client for KGA has always been eager to embrace new marketing ideas, brainstorm with me and try new promotional ideas. I enjoy working with organizations of all sizes, particularly small businesses and nonprofit organizations ready to take the leap into marketing, both online and in traditional media channels, such as newspaper, television, and radio. Social media has also become a powerful and inexpensive marketing tool available to businesses and organizations of any size. KGA and Living Landscapes are proud to announce that a new website was created for the business and went online a few months ago, www.livinglandscapes.com. This website, created under the direction of KGA, is responsive across all devices and browsers. It includes a gallery of landscape designs that will spur ideas for outdoor living spaces, no matter where someone resides, and particularly for those near the beach. So, whether you live in the area served by Living Landscapes, primarily Long Beach Island, Manahawkin and Barnegat, New Jersey, or in another coastal area such as the Delaware coast, the website is definitely worth checking out. Warfield encourages small businesses to reach out to Kelly Griffin & Associates for help with their promotional needs. “Whether you want Kelly to handle your marketing and content creation and management, or you want your team to be trained to do some of it, contact her and she will make the process painless, creative, collaborative and fun for you,” says Warfield. To contact Living Landscapes, email – info@livinglandscapes.com, or call (609) 698-1199.